Inspired by ancient Ayurvedic medicine of India and created to harmonize the fundamental energetic aspect (Dosha) known as Kapha, this music enhances deep relaxation, meditation, yoga, healing massage and promotes general health and well-being. 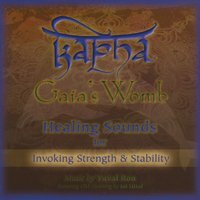 Kapha, one of three Doshas, is an important and fundamental aspect of the traditional Ayurvedic medicine of India, This album is inspired by and created to help harmonize the Kapha of the listeners, the energy that governs the structure of the body/mind and it's overall stability and protection. This delightful, original music effects all aspects of a person, promoting their well being and health emotionally, physically and spiritually. The music is played by highly respected world musicians, Vladimir Gregorian on the Kamanche and William Close on the Earth Harp. The healing and listening experience is enhanced by the highly respected Kirtan singer, Jai Uttal with back up vocals by Katyanna Zoroghlian. This album is recommended to help deepen relaxation, meditation, healing work, massage, yoga, mental focus and artistic inspiration.